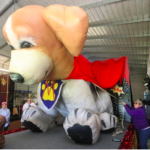 Dozens upon dozens of four-legged good boys and girls will march in the 21st annual “Mardi Gras on Main Street DeLand Dog Parade,” a New Orleans-Flavoured even. 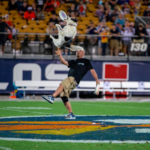 Dog sets world record of Frisbee catch at Apollos game. 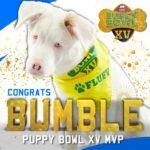 It sets social media ablaze with an 83-yard frisbee catch as halftime entertainment at the game. 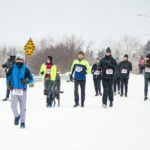 On Feb.17, the Labrador retriever guide dog led her owner Daryl Lang through the Edmonton’s Hypothermic Half Marathon in –19 C temperatures. 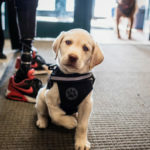 The amazing story between Christy, 36, lost both her legs after an attack overseas and her service dog Moxie, a puppy like her owner, with a disability. 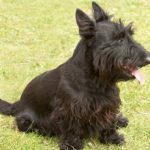 The Kennel Club has placed Scotties on its ‘at-risk’ register, after an all-time low of just 438 puppies were registered last year. 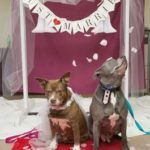 The shelter in Augusta, Maine held a wedding ceremony, completing with a veil for the two dogs. They are bonded, which means they must find a loving home willing to take both of them. 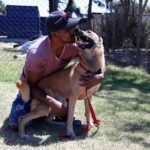 A heroic dog has made a miracle recovery after being stabbed in the skull when defending his owner against an armed robber in South Africa. 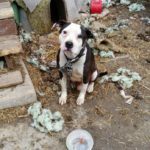 The organization has also rescued more than 800 adult dogs, puppies, and seniors, while working with partner organizations. 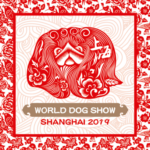 The World Dog Show 2019 is scheduled to be held in Shanghai from 30 April to 3 May. 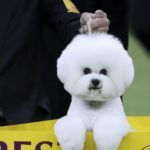 Hosted by the Fédération Cynologique Internationale (FCI), the largest worldwide dog organization, the competition sees 10,000 dogs enter every year. 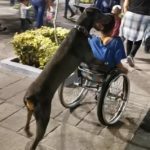 A dog was spotted in Guadalajara, Mexico, confidently pushing a young man in a wheelchair through a plaza crowded with people. 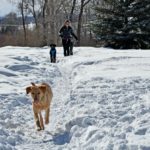 Steamboat Springs, CO looks to increase leash law enforcement.The city of Steamboat Springs is looking to add another off-leash area as off-leash dogs are no longer allowed on Blackmer Drive. 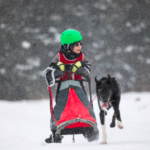 On the first day of the Alaskan Sled Dog and Racing Association’s Junior World Championships, there are several winers you would love to meet. 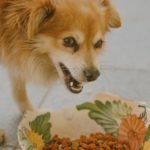 Researchers focused on two forms of canine fearfulness: noise sensitivity and general fearfulness. The latter encompasses the fear of unfamiliar humans and new situations. 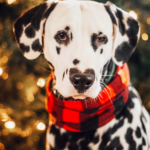 The spotty dog named Wiley from Denver, Colorado has stolen the hearts of thousands due to one of his spots creating a heart shape around his nose. 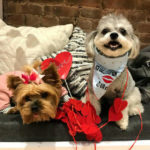 Many of dog parents want their babies to find a perfect match. The event also raise money for Best Friends Animal Society, an animal outreach and rescue nonprofit organization. 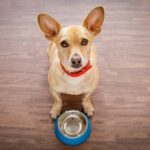 The dogs are coming from an overcrowded shelter in Fresno, California, where they face a high risk of euthanasia. 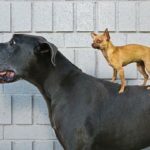 The Michigan Humane Society is looking for dog lovers to helping welcome 100 Chihuahuas to Michigan. 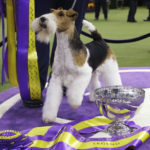 The main dog show will air on FS1 (Fox Sports 1) from 7:30 p.m. to 11 p.m. on Monday, February 11 and Tuesday, February 12. But some other activities precede the main event — for more on those, see below. 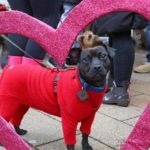 This Sunday February 10, animal rescue centre All Dogs Matter is inviting hundreds of pooch lovers to take part in their ninth annual Valentine’s Dog Walk. 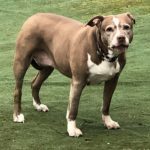 The pit bull, named Sadie found roaming a Tuckahoe yard Wednesday afternoon, barking incessantly. 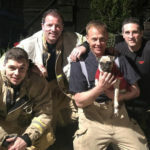 She saved the house from a potential gas explosion and gas leak. 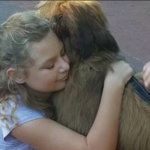 State Attorney General of North Carolina is investigating more than 50 complaints against a now-closed Apex dog trainer, who specialized in training animals for autistic children. 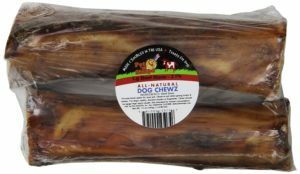 Hill’s Pet Nutrition recalled 25 food products that may contain dangerous levels of vitamin D. But those grieving dog owners said it’s too late. 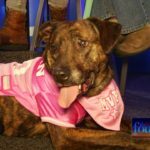 Penelope, a Mountain Cur mix housed with the Humane Society of Midland County, picked the Patriots for the win. Now she is waiting for adoption. Bumble, a former shelter dog now living in Spokane Valley. 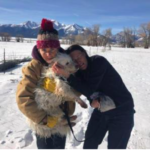 The 6-month-old female is blind and deaf and has a harrowing story. 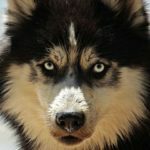 This is an incredible story of survival that a dog named Price was reportedly in the wilderness on his own for 96 days. 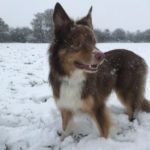 The vets suggests the dog will be out of action for the next two weeks, and he has to wear waterproof bags on his feet while the dressings are helping. 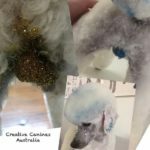 Disturbing new trend sees dog owners putting glitter on their pooches’ testicles. 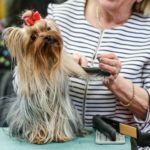 This trend was noticed by Royal Paws Pet Salon in High Point, North Carolina.